First, let’s clear the air by saying there’s no magic cloud that we’re all uploading data to. Everything resides in brick-and-mortar buildings, and the more transparent MSPs and cloud service providers are about this foundational fact, the faster adoption around cloud will grow and the insecurity around the security of cloud will wane. Nonetheless, because of the mass marketing and mystery around cloud, businesses and consumers have a number of questions that you as an MSP or cloud service provider should be ready to address head on. 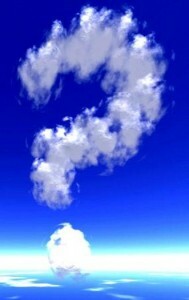 Why should our business leverage cloud services? And what’s the difference between public and private? Where is your data center? How is it protected? Cameras, security guards? What kind of redundancy do you have? What are your SLAs, customer support and billing practices? What standards-based compliance do you have ( ISO, for example)? What happens in the event of an outage – not only to my data, but to my service fees? Do the SLAs have teeth, such as performance clauses? Do I receive cash refunds, credits when there’s a disruption to service? In the event of catastrophic failure, what are your contingency plans? How long have you been in business and what is your financial viability? Do you belong to any accredited organizations like The Cloud Computing Association, MSPAlliance or CompTIA? What access do you have and how can you monitor data and performance? In the event that this relationship doesn’t work out, what’s the exit process and how do I get my data transferred from you to another provider? This isn’t an end-all, be-all list, but it’s a great sampling that MSPs and cloud service providers should definitely take into account. As you build your cloud practice, take these questions into account and be forthcoming with your customers and prospects about what cloud is and isn’t, and what it can and can’t do for their business. Losing customer trust is perhaps one of the worst things that can happen to your business. Also, don’t hesitate to talk with others – customers and MSPs alike — who have moved to the cloud. Ask them what worked and what didn’t. There is tremendous upside to cloud, but only if you consider all the options and choose those partners and services that will not only enhance your value-add and market differentiation, but also demonstrate your vested interest in customer success. If you’d like additional insight on where to place your bets with cloud services, check out this recent MSPmentor blog recapping a discussion I had with Joe on Infrastructure-as-a-Service and Private Clouds. Mike Cullen is VP of sales at N-able Technologies, which develops remote monitoring and management automation solutions for MSPs and IT departments. Monthly guest blogs such as this are part of MSPmentor’s annual platinum sponsorship. Every MSP should have a pretty substantial termination fee with 6 to 18 months of service payments required based on remaining contract length… too often, an MSP will layout time and funds “on boarding” a client or migrating the clients systems to the MSP’s infrastructure and during the process the client simply wont have their own house in order. this is not the MSP’s fault and the company should really take this process seriously… an MSP without any “teeth” – but fair teeth in their hosting or data services contracts is setting themselves up to be smashed by indecisive or financially unstable clients. we actually wanted to fire one of our datacenter providers for poor service, billing issues – they informed us we were obligated to the ENTIRE TERM of the CONTRACT. Business works both ways – both parties risk something, both parties receive something.